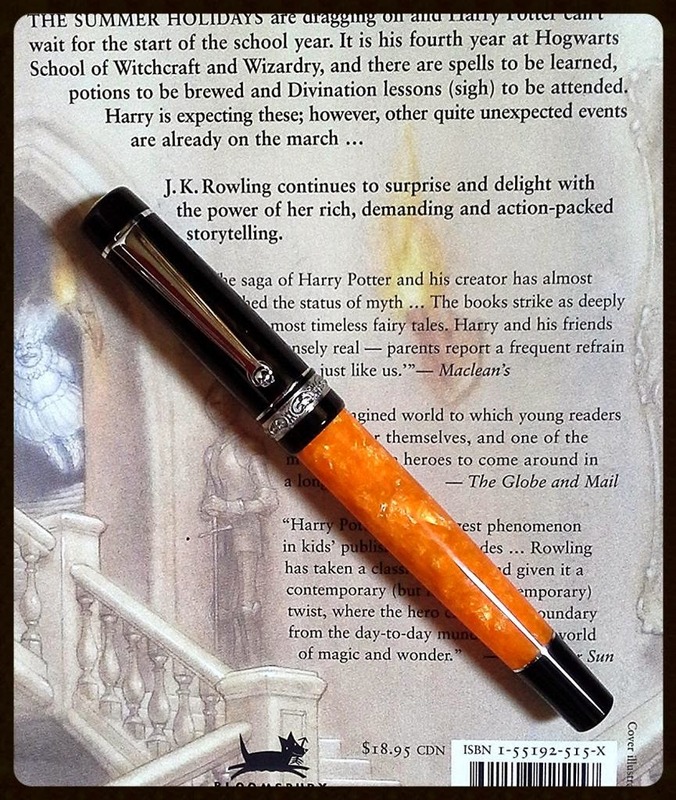 Some photos of my gorgeous new Delta Dolcevita Slim fountain pen, which I received at our June meeting. This beautiful pen is hand-turned from solid bars of orange and black resin to create a dramatic & bold effect. The cap ring is made of sterling silver, hand-engraved with a decoration that was found in old paintings from Pompeii. I can honestly say that the pen looks even more stunning in person...and it writes like a dream. 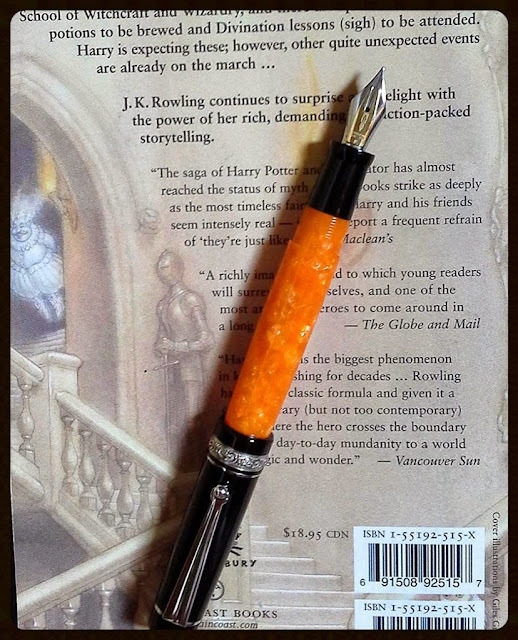 Many thanks to the Delta Pen Company for this generous gift! Look at that gorgeous Fusion nib! Patented in 2012 by the Delta Pen Company of Naples, Italy, it was made by fusing a layer of 18K gold to a steel alloy to create a unique nib with enhanced ink-flow properties. The nib on mine is a Fine, but it writes a bit more like a Fine-Medium, which is perfect for me.